This is the Foo Fighters’ new video “White Limo”. 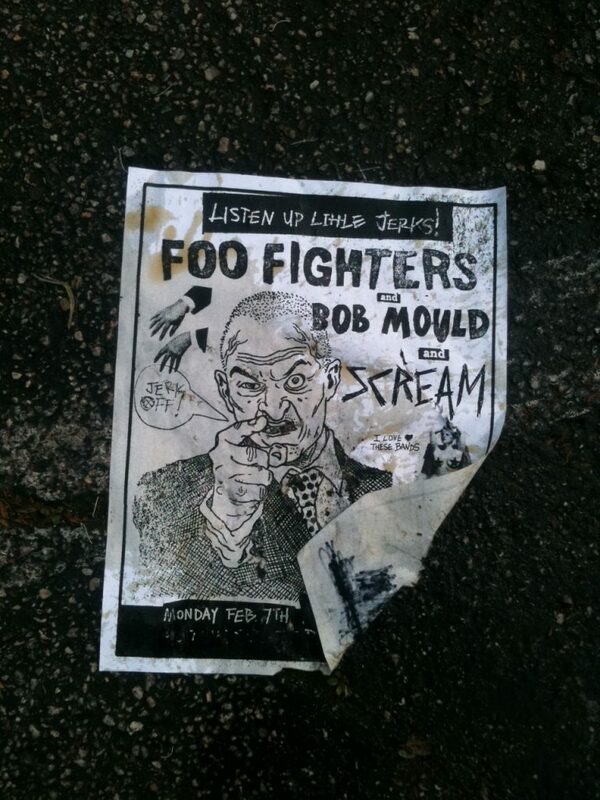 The Foos have been playing a lot of secret shows in and around LA. They even did one in Santa Barbara. One way people knew they were playing at the club was this white limo would show up. Judging from this track the reports that this is a heavier record than the rest seems true. I miss MTV. MTV would have more facts than this. Since MTV hates music now perhaps the busblog should celebrate music videos whenever possible. Especially since Gregg designed this beautiful treatment for videos. I heart the Foos. And I was so mad that I missed them Friday at the Dragonfly. Very curious where they will be playing tomorrow, and hoping I can get out of work a little early to catch the gig. Perhaps work will take pity on me for working today – THE LORD’S DAY – to do the Times Super Bowl chat.